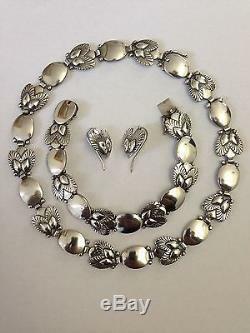 Georg Jensen Sterling Silver Bittersweet Jewelry set with Necklace, Bracelet and earrings #94B. Weighs 70g/2,45oz Bracelet measures 18,5cm/7 1/4. 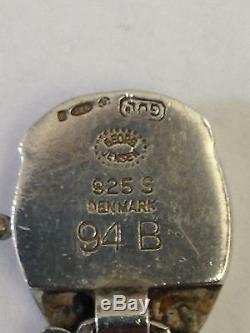 Weighs 41g/1,45oz Earring unmarked, measures 2cm/3/4. The item "Georg Jensen Sterling Silver Bittersweet Jewelry set Necklace, Bracelet earring" is in sale since Tuesday, July 21, 2015. This item is in the category "Jewelry & Watches\Vintage & Antique Jewelry\Vintage Ethnic/Regional/Tribal\Scandinavian".